Home Arts	Do we really learn the lessons from our past? Roadmap to Apartheid, while using a lyrical intro with picturesque lands in Palestine and Israel, is immediately contrasted with the reality of life there, which has been for decades the centre of armed conflict. Filmmakers Ana Nogueira and Eron Davidson have provided an introspective of the Israeli-Gaza conflict, by tracing a parallel to the rise and the fall of the apartheid system in South Africa. In this way, they are making the argument that Palestine is living in an apartheid-like system. The filmmakers have successfully and concisely presented the realities lived by Palestinians in the West Bank and Gaza Strip. Nogueira and Davidson contrast how it was in South Africa as well as how Palestinians today are living, making it clear even for a viewer that is not familiar with the subject. 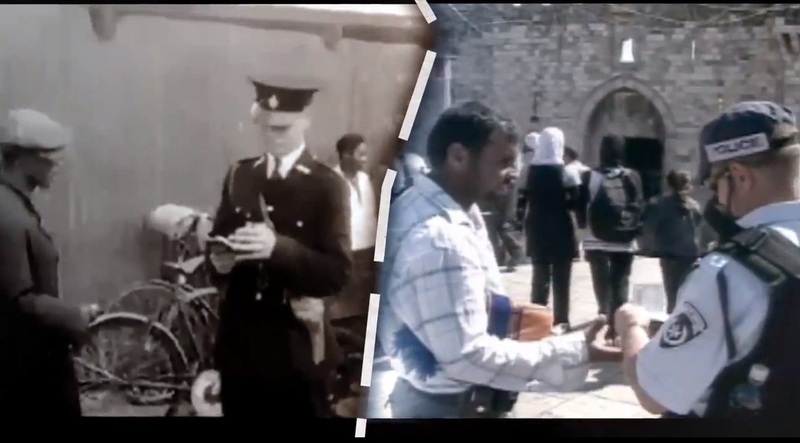 Roadmap to Apartheid presents impressive and thoughtfully matched video shots of Palestinians’ everyday life combined with a narrative voice that emphasizes the effects produced by what is seen in those images. The film’s strength is in the way it links the events experienced by Palestinians with corresponding archived materials showing the course of the apartheid system from 1948 to 1994. The film also includes expert opinions and insights from the world’s leading authorities on both South African and Israeli apartheid including Diana Buttu, Jeff Halper, Na’eem Jeenah, Ali Abunimah, Ziad Abbas, Phyllis Bennis, Jonathan Cook, Jamal Jumá, Yasmin Sooka, the late Dennis Brutus, Salim Vally, Eddie Makue, Angela Godfrey-Goldstein, Allister Sparks and Sasha Polakow-Suransky. The film presents a continuous transition from the taped material and interviews that smoothly changes into third person narratives. Roadmap to Apartheid is a highly ambitious and interesting project that speaks out about a sensitive subject put in context with another historical conflict. Roadmap to Apartheid screens Monday March 11, in Rm H-110 at 1455 de Maisonneuve W. at 7 p.m.